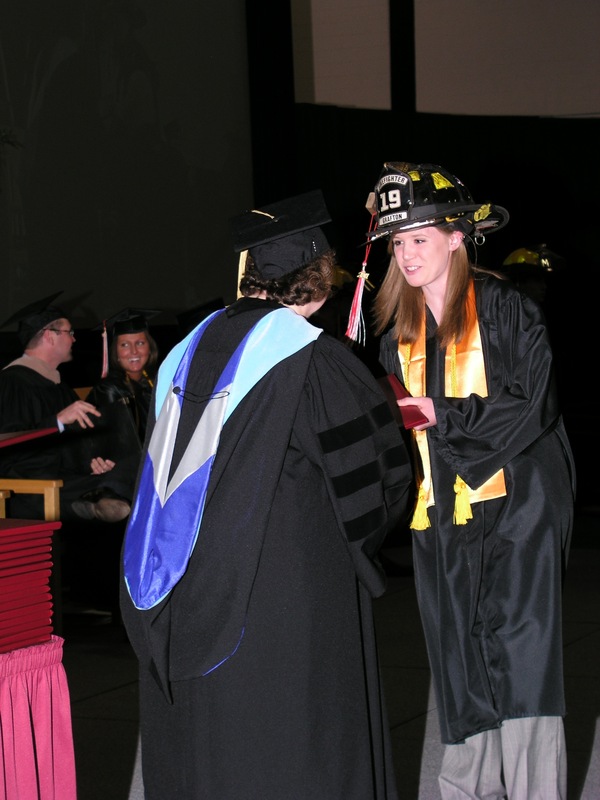 It is an honor to personally congratulate each graduate during our commencement ceremonies. We just held our year-end commencement program and I always enjoy congratulating our students individually on their accomplishments in completing their degrees or diplomas from Fox Valley Technical College. It is a unique opportunity to watch each person come across the stage with pride and excitement about what is next in their future. I was struck, once again, by the diversity represented in the students whose hands I was shaking on Sunday. The diversity of careers they have prepared for at FVTC is always astounding as I greeted the new firefighters, chefs, administrative assistants, nurses, accountants, landscapers, automotive technicians, pilots, mechanical designers, machinists, and the list goes on and on. Then there was the wonderful diversity of ages, as I was approached by graduates in their 20s, 30s, 40s, 50s, and 60s. It was so gratifying to see that our college had made a difference in the lives of all these people, regardless of where they were in their career path. Finally, it was incredible to see the diversity of races and cultures represented in our graduates. It was particularly moving for me to congratulate the students from Central American countries and from all over the world who have come here to learn and grow with us for a year or two. These students will now be returning to their countries and I couldn’t help but think about the fact that we’re also making a difference globally. When a Haitian student learns everything she can about water quality so she can return and add tremendous technical expertise to the work of her country, that’s powerful. Or when a student from the Dominican Republic has been here to study agriculture techniques and can now take that knowledge and skill back to his country, imagine what a difference he can make. This year alone, about 2,400 graduates of Fox Valley Technical College will provide a rich and diverse pool of talent, skill, and contribution to our local, regional, and worldwide communities. I’m very proud of the achievements of every one of these students and wish them great success in the years to come.